By Ann-Christine Diaz . Published on January 22, 2019. When CES opened its doors in Las Vegas earlier this month, Mastercard took the opportunity to drop some news: The company was erasing its name from its logo. The red-and-yellow overlapping discs that have anchored its brandmark for nearly 50 years would, in most cases, stand on their own. It's not every brand that has the cojones, or in this case, the circles, to move into a name-free space occupied by cultural touchstones like Nike and Apple. But taking into account its decades of branding and advertising, a ton of research and the noisy terrain in which brands now have to compete, Mastercard says it decided it was worth the leap. The brand hopes the move will recalibrate its identity for a new era, underscoring expanded offerings and a potentially growing customer base. 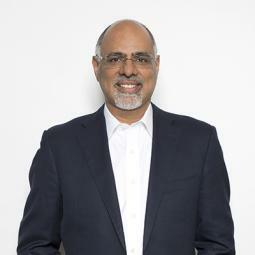 "Over 20 months we've been studying the entire consumer landscape, and as consumers are interacting more, digital screens are getting smaller," says Mastercard Chief Marketing and Communications Officer Raja Rajamannar. "We saw that as the real estate is shrinking, the prominence of our brand could come down if we didn't do something." Mastercard tested in multiple markets around the world and across different demographics and found that more than 80 percent of people were able to recognize the brand through the symbol alone, Rajamannar says. The name drop also solved another problem: "If you look at our entire business today, we aren't really a card business," says Rajamannar. "We provide technology solutions and so many other services to our clients that we wanted to de-emphasize the card factor." Michael Bierut, partner at design firm Pentagram, and his team worked side-by-side with Mastercard, starting with the company's brand relaunch in 2016—its first in two decades. That included a simplified logo removing the "zippered" intersection between the two circles and replacing it with a solid orange segment. The name, which until now was prominently centered within the graphic, migrated to just below it, and was now written in a simpler, circular sans serif font. Dropping the name altogether, Bierut says, was an act of "removing the training wheels," an inevitable step that Rajamannar says had been part of those early rebrand discussions. 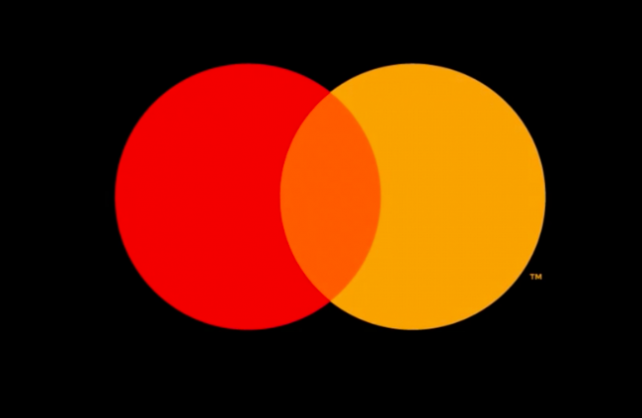 Mastercard "had one big thing going for them—they've used some version of that symbol from the very beginning," says Bierut. "They staked that claim way back in the '60s, and they've been relentlessly consistent about it over their whole history. Other brands may have abandoned what they started with to ameliorate some crisis, or to keep up with the times." As the overlapping circles endured, so, too, did McCann's "Priceless" campaign, which has been updated over the years. "All the stories, the emotional associations, can now be carried by a more simplified expression, by this epic minimalism," says Brian Collins, the founder of design firm Collins. He has been credited with identities for Kodak and Motorola as well as recent brand evolutions for Mailchimp and Dropbox. "We're inundated with a tsunami of visuality, so anything a brand can do to appear with more clarity—to create a pure, clean signal that can slice through the cacophony, [they] should do it. It's a big jump into the future." On Twitter detractors have mocked the nameless logo, calling it a "Venn diagram" and saying it was "arrogant" to assume people would automatically associate the circles alone with the company. But some design experts say when consumers see the logo, it will not be in a vacuum. "There are so few places in reality when you're seeing a symbol alone, in absence of context," says Emily Heyward, co-founder and chief strategist at Red Antler, the firm behind the branding of startups like Casper and Allbirds. Rajamannar says that during research, "what we found very interesting was most of the people looking at the logo in context of making a purchase aren't even reading the word Mastercard, so that real estate wasn't being used appropriately." Now that consumers' primary interaction with any brand is likely to occur on a tiny screen on a phone, one could assume that companies that are recognizable through singular icons—brands Bierut describes as having achieved "symbol status"—would have an advantage. But it requires a lot of love for the brand: Even Rajamannar says that if he were to develop a brand from the ground up today, a strong verbal element would absolutely be part of his logo plan. "If I'm starting from zero, I would have a strong visual element, but also a verbal one as well. I would need to have both—one I could build a strong association with, and then later, perhaps, I can afford to drop the word." But reaching that point is a huge challenege—and a particularly difficult one for established brands that have long been associated with a wordmark, or word-based, non-symbolic logo. For a less established company to transition to "symbol status," it's as easy as "finding a time machine, going back in time and making a logo that uses simple shapes and colors, building half a century of equity and returning to the present," Bierut jokes. For his part, Armin Vit, co-founder of design firm UnderConsideration, which publishes the Brand New blog on corporate branding, doesn't believe it's quite so impossible for wordmark brands to make the transition. Walmart, for example, has potential. "At first they had a really big, chunky uppercase wordmark, then switched to a lighter one and introduced that yellow asterisk. Maybe in 10 or 15 years, they could get away with just the asterisk," he says. "The way to do it is to have segue, introduce an icon attached to a word mark and then build up to it over multiple decades," Vit says. There are other challenges. "If you do a trademark search, it's hard to find new territory in the world of geometric marks," says Pentagram's Bierut. "And even if you land on something, you have to be ready to invest time and money into educating your audience that from now on, when you see this, you will think of this company. The curve is steep." And if brands do land on something, they can't expect consumers to fall in love with—or even get—their symbol right away. Recall the snark storm that befell Airbnb when it debuted its "Belo" logo in 2014. To be sure, names can be iconic too. Collins points to companies with wordmarks now part of the cultural canon like Coca-Cola, The New York Times, Budweiser and Google. It's crucial to remember that "a brand gets its meaning from what it represents, and not the other way around," Collins says. "A logo is only a vessel for meaning." As our landscape evolves, new branding rules are emerging. Brands today are more than mere words or a logo, and even voice is becoming part of their identity due to Google Home and Amazon Echo's Alexa. "The places brands need to appear are completely different and much more varied," says Red Antler's Heyward. "Yes, you need to see something tiny, but you also need to see things in motion. Today, it's less about owning a symbol or word and more about flexibility—how do you build a range of tools to communicate your brand?" She notes that for sleep firm Casper, for example, the brand identity is as much its wordmark as it is the whimsical, graphic illustrations that appear in its advertising, or its blue-and-white color palette. "A great symbol can be an indispensable asset for any brand, but why choose between words and symbols when having both will broaden the brand's communication efforts?" adds Sarah Moffat, global chief creative officer of global design firm Turner Duckworth, which led major design initiatives for Coca-Cola and Amazon, among others. To hear Mastercard's Rajamannar tell it, images have more of an emotional impact than words. We are living, after all, in a world where emojis have gained currency as accepted shorthand in our daily lives. And, as Bierut says, "We're moving into a world where people are regaining a facility with visual communication. 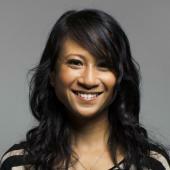 As media expands, the nature of visual language will as well."